Heavy-duty castors are intended for equipment that has to withstand heavy loads and excessive use. 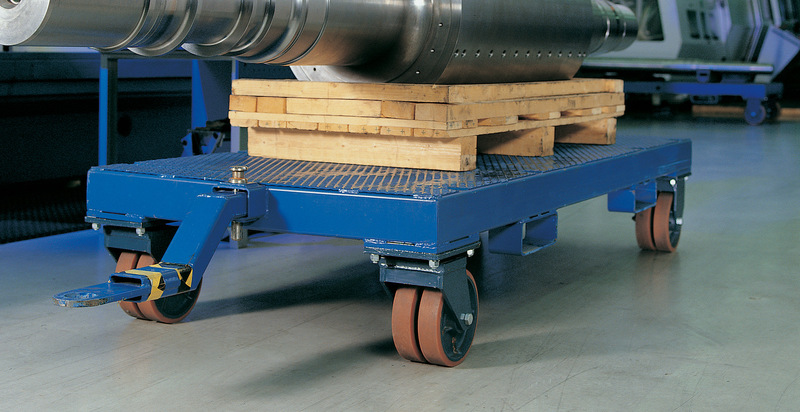 Our range includes castors with a load capacity of up to 6200 kg. The forks are made of pressed, galvanised steel, or welded and painted steel. The SKL and SKLP fork models are fitted with a strong and durable swivel bearing, which is supported by a kingpin and a lock nut. The double ball race in the SKLP housing is fitted with hardened steel balls, while the SKL series is made with a tapered roller bearing. The tread is made of polyamide, polyurethane or cast urethane, which is vulcanised onto the aluminium or steel centre. As standard, the castors are fitted with ball bearings that ensure easy manoeuvrability even under heavy loads. Read more about Manner’s castors such as equipment castors, industrial castors and customised solutions.